Arista using Wi-Fi data and cloud management to expand its reach and the value of CloudVision makes perfect sense. As I mentioned in my Broadcom-CA post last month, sometimes things happen that make no sense. Other times things don't appear to make sense right away, but then do later. Such is the case with Arista Networks' purchase of Wi-Fi pure-play, Mojo Networks -- the company's first ever acquisition. Mojo was founded under the name AirTight Networks in 2002 and changed its name to Mojo in 2016; it's been focused on delivering "cognitive" Wi-Fi solutions that self-heal and improve security. If you have been following Arista, the company has been one of the darlings of Wall Street since it IPOed in 2014. In the past two years alone, the stock price has soared from about $80/share to where it sits today at a shade over $250. This is remarkable, considering many industry experts felt networking was a commodity and the prices of Ethernet switches would plummet. Their success supports my thesis that nothing in IT is really a commodity. If a vendor can bring innovation to a market, it can get a premium. And that's exactly what Arista Networks did. Arista's success started with cloud providers, particularly Microsoft. Since then, it's expanded to enterprises but stayed true to the data center. All of its new products -- such as its packet broker, cloud-router and IP storage -- are in some way related to data center. Even the most recent launch of its Cognitive Campus (coincidence in naming? Hmm), was focused at the campus core and not the edge, maintaining its mission of being data-center first. This is what made the decision to buy Mojo so curious to me. After having some time to digest and taking a call with the company to explain, the acquisition does make more sense to me. I believe the acquisition fits the long-term goals of Arista, but it does leave some unanswered questions. Arista didn't purchase Mojo to compete with the likes of Aruba, Meraki, and Aerohive. Mojo has a good product, but it really can't go toe-to-toe with those vendors. Also, Wi-Fi is often sold through data VARs as part of a broader campus networking initiative, and Arista doesn't have that channel. So those news reports that claim that Arista is gunning at Meraki and its ilk are flat-out wrong. What Arista wants is the data generated by Mojo as well as its cloud management capabilities. In 2015, it announced CloudVision to deliver network-wide cloud automation. Arista was one of the early pioneers in SDN with programmable interfaces, publish-subscribe state separation, streaming telemetry, and self-healing attributes. CloudVision extends Arista's architectural approach across the end-to-end network for state, topology, monitoring, and visibility, enabling businesses to move to cloud scale automation without having to do any internal development. What's fascinated us about Mojo is, as you know, we believe the cognitive edge for the campus is changing significantly. And in the past, Wi-Fi was always a second class citizen to wired. You never talked about performance of Wi-Fi in gigabits. It was always megabits or very small speed. And what we're seeing now with 802.1ax and performances in general is Wi-Fi is approaching multi-gigabit speed just like wired is. So, the synergy for us is to really focus on making Mojo a software-based acquisition, where we care less about the access point and we care more about the cognitive control, the integration into CloudVision, and Ken's CMP architecture. And the importance of bringing all of this cognitive control is not just to the Spline, but to the Wi-Fi edge. In layman's terms, the Wi-Fi network is now mission critical, and that presents an opportunity for Arista to insert itself into that market. Arista likes high-value networking, and it's fair to say Wi-Fi has never been more important than it is today. I had a call with Arista's SVP and Chief Platform Officer, John McCool, on Friday afternoon, and when I mentioned there was some speculation that Arista was gunning for more Wi-Fi revenue, he actually chuckled and said that they're not all that interested in competing for access point business, supporting Ullal's remarks on the call. McCool did drill down a bit deeper and discuss Mojo's great cloud management and the possibilities with CloudVision, self-healing capabilities, visibility into traffic flows, and state-streaming. One of the more interesting aspects of this is that CloudVision is currently only available as an on-premises solution, and Mojo provides Arista a fast path to moving that to the public cloud. This would enable Arista to aggregate customer data to provide better recommendations or even automate changes in its customers environments to help optimize performance. One of the questions this acquisition raises, however, is how it impacts Arista's relationship with Aruba Networks, an HPE Company. Right now, the two are very good partners and have had a strong, bilateral exchange in value. Ullal mentioned on the call that Arista intends to continue to work with Aruba, but clearly as it creeps more and more into the campus (Aruba's strength), areas of overlap will arise. There are many vendors that partner and compete at the same time, so if managed carefully, both could still succeed. But Wi-Fi, particularly analytics, hits at the core of what Aruba does. In fact, it's fair to say that no one does Wi-Fi analytics better than Aruba does today. The fact that Ullal was proactive in saying she's not that interested in the hardware side of this business certainly helps on the relationship front. In fact, it would make sense for Arista to ingest Aruba data to bring a multi-vendor solution to market. 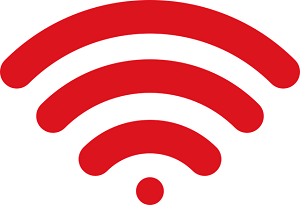 On the surface, Arista moving into Wi-Fi makes little sense, but In the digital era, competitive advantage is from data and analytics and Arista just loaded up on a new source of data.